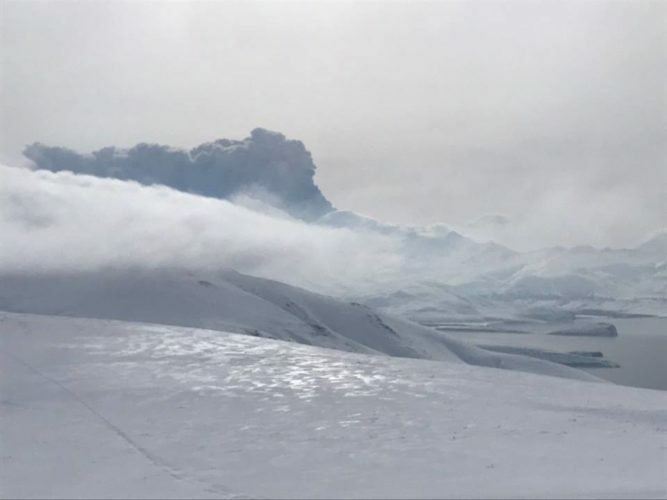 An unexpected and major eruption started at Kamchatkan Kambalny volcano at 21:20 UTC on March 24, 2017. Consequently, authorities raised the Aviation Color Code to Orange. This is the first scientific observation of a major volcanic event at Kambalny. 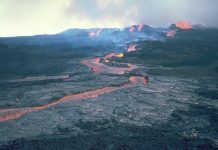 According to tephrochronology, a strong eruption occurred 600 years ago, but there is information about the increase in activity some 250 years ago. At 21:20 UTC, KVERT said satellite data showed an ash plume about 35 km (21.7 miles) southwest from the volcano. 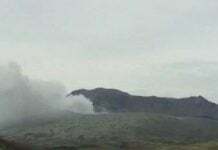 Volcanic cloud was reaching a height of 5 – 6 km (16 400 – 19 680 feet). By 01:34 UTC on March 25, the plume was already about 100 km (62 miles) SSW from the volcano and by 13:24 UTC it was 550 km (341 miles) SSW. 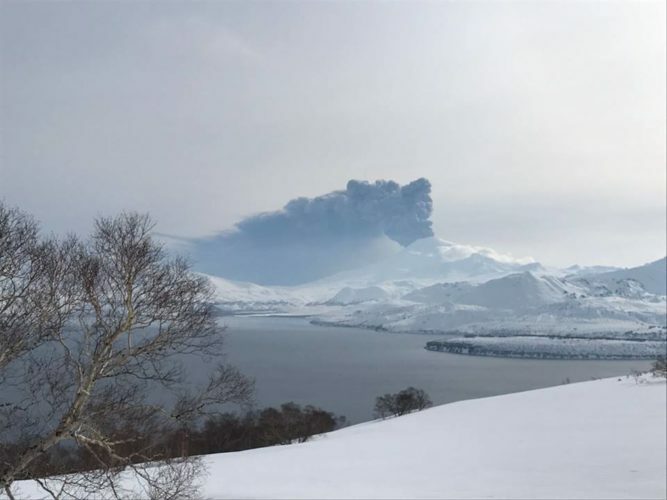 At the time, satellite data showed volcanic cloud reaching 5 km (16 400 feet). 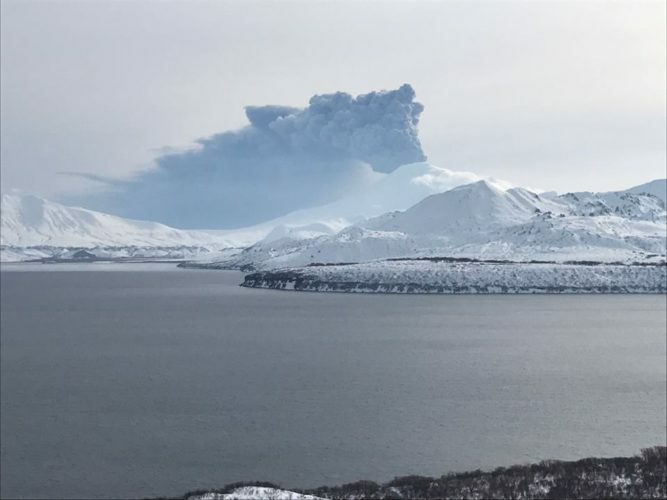 The explosive eruption of the volcano continues. 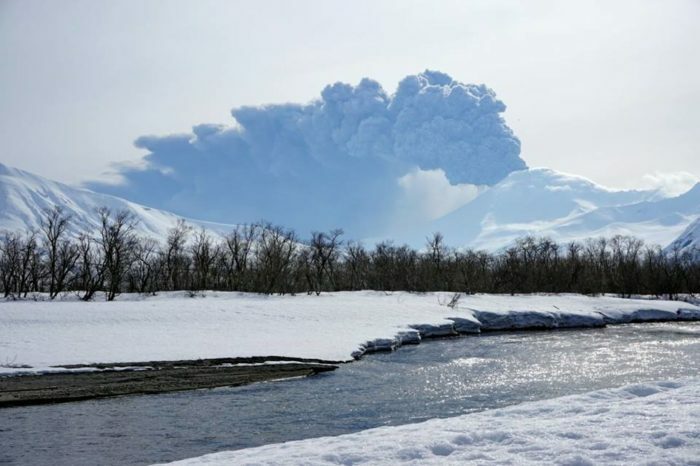 Ash explosions up to 6 – 8 km (19 700 26 200 feet) a.s.l. could occur at any time. 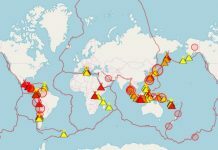 Ongoing activity could affect international and low-flying aircraft. The volcano is under our close supervision, but it is hard to say what will happen next. 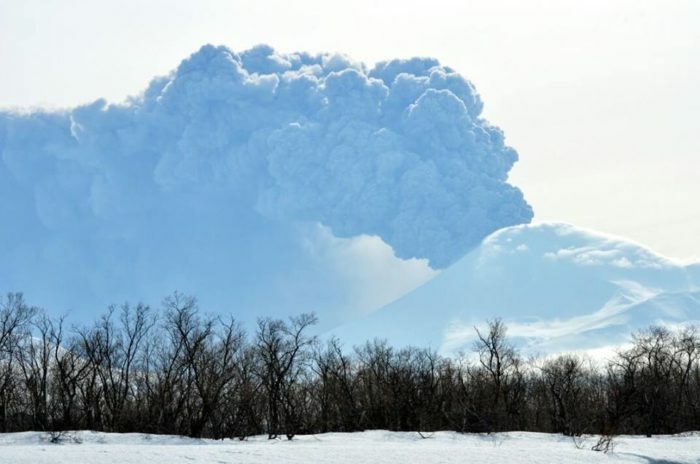 Kambalny volcano is the southernmost major stratovolcano on the Kamchatka peninsula. Its summit reaches 2116 meters above sea level. 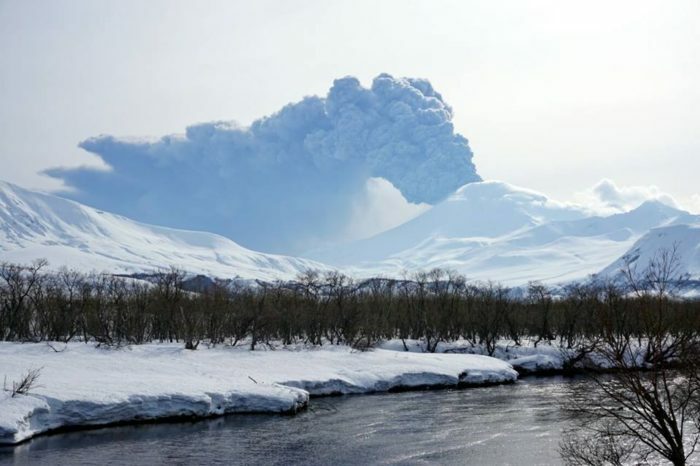 This eruption again proves that not all volcanic eruptions are preceded by seismic tremors. Somehow conventional science has been hijacked into believing that ALL volcanic eruptions will be preceded by a tell-tale set of tremors. I wish that the science textbooks would be corrected by FACTS, but people pushing theory keep ignoring FACTS.